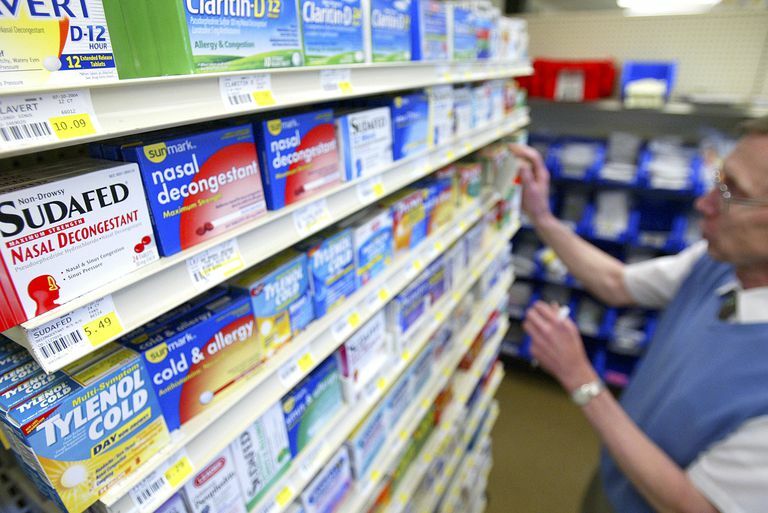 Doxylamine is found in over-the-counter products such as Unisom and Nyquil. It may be taken to treat insomnia, but is this the best treatment option for this condition? Like the related medication diphenhydramine, doxylamine does not require a prescription. What should you consider before using this medication, and what alternative sleeping pills may work better? Learn about the use of doxylamine in treating insomnia. Doxylamine may be helpful for treating allergies, but a side effect is that it causes drowsiness. Some people will, therefore, take it to help with symptoms of insomnia, a difficulty falling or staying asleep. It's sometimes taken to help initiate or maintain sleep, and also for nighttime relief of symptoms related to the common cold. It shouldn't be used for more than 2 weeks to treat insomnia. Doxylamine is one of the medications known as an antihistamine. Like many sleeping pills, it affects neurotransmitters: specialized chemical messengers that act within the brain and between nerve cells and other tissues. It blocks the uptake of histamine into cells, so histamine consequently builds up, leading to sleepiness. Doxylamine works centrally within the brain, where it causes sedation, and elsewhere in the body. Young children under 2 years of age should not use doxylamine, nor should it be used by women who are breastfeeding, as it may pass through the milk to an infant. In addition, children under 6, and elderly patients should use caution if taking this drug. There is also a risk for drug interactions, including with medications that affect the brain, so be sure to review your medications with your doctor or pharmacist before starting to use doxylamine. Certain individuals should use doxylamine carefully or not at all, as described above. As an over-the-counter medication, the risks are thought to be slightly less compared to other prescription medications that require more careful monitoring. There are no routine tests recommended with its use. Ultimately, doxylamine is not the best option if you are considering taking sleeping pills; there are a number of other choices that are better suited to aiding sleep. To take a medication for its side effect—in this case, sleepiness—is not recommended. It doesn't promote sleep the way other prescribed hypnotic medications can, including benzodiazepine and non-benzodiazepine medications. It may ultimately lead to further sleep disruption, including worsened insomnia, or even dependence. If you experience any difficulties when taking this drug, you should be in close contact with your primary health provider. If you wish to pursue preferred treatments for insomnia, you should likewise make an appointment and discuss the better prescription options that are available. Effective treatment may include cognitive behavioral therapy for insomnia (CBTI). "Doxylamine." Epocrates Rx Pro. Version 16.3, 2016. Epocrates, Inc. San Mateo, California. "Doxylamine." PubMed Health. May 16, 2011.